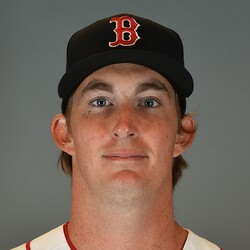 Henry Owens is expected to start the 2017 season in the rotation at Triple-A Pawtucket and will be one of the first names considered as a depth starter for Boston. Owens was once considered the top pitching prospect for Boston but has struggled over the past couple of seasons. In five starts for the Red Sox, Owen finished with 6.95 ERA and walked 20 batters in 22 innings. The team will want Owens to get his mechanics right in the minors this year and may get a chance to get a call-up if injuries occur to the staff. For now Owens is only worth owning in Dynasty formats.